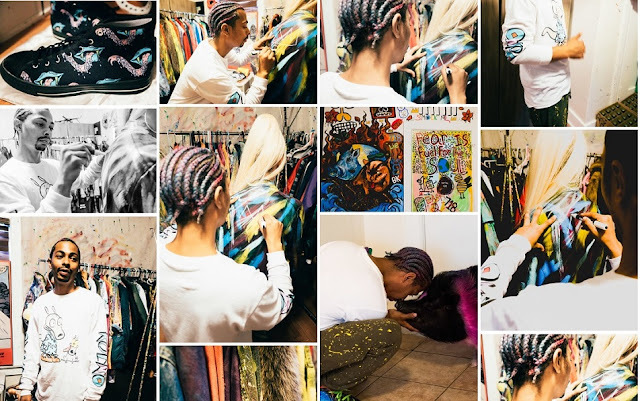 This week, Style Fashion Week visited the West Hollywood studio of emerging designer, Michael Howard—the creative mind behind Smock Me. It was eight years ago, after losing both of his parents, that he decided that it was time to immerse himself in a new environment. He packed his backpack, and left for Los Angeles without a plan. He explained how the fear of the unknown propelled him forward on his journey. Without a place to stay, he ran into a friend on his first day in town, who gave him a temporary home as he established himself in his new surroundings. He experimented in acting, but when it failed to inspire him, he began working and designing for a shop on Melrose. He additionally began teaching himself to sew. 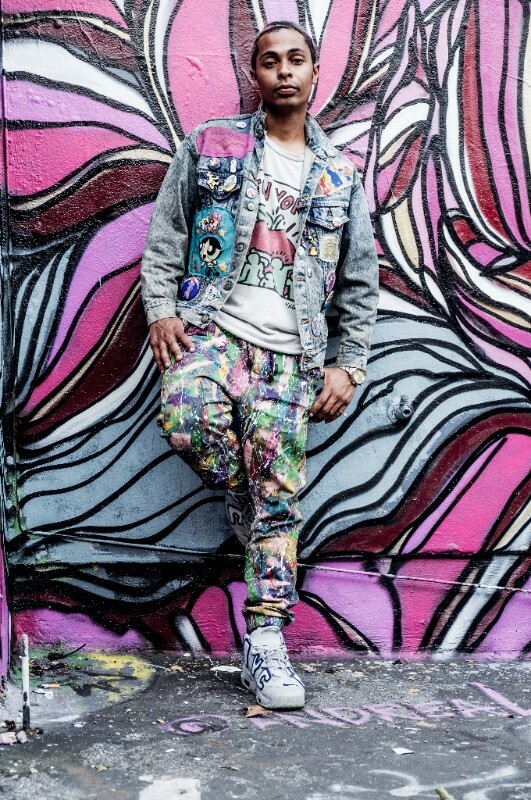 He started with a used jean jacket which he distressed further and added additional creative flare. He then began designing more distinct pieces for himself and his friends. When they continued to receive a tremendous amount of attention when wearing the garments, Smock Me was born. Learn more about Smock Me and view the collection at Style Fashion Week. Smock Me© represents individuals that are dreamers who don’t want to confirm to the norm. Smock Me© is a mix of urban, punk, Hip-Hop, and 90's style. 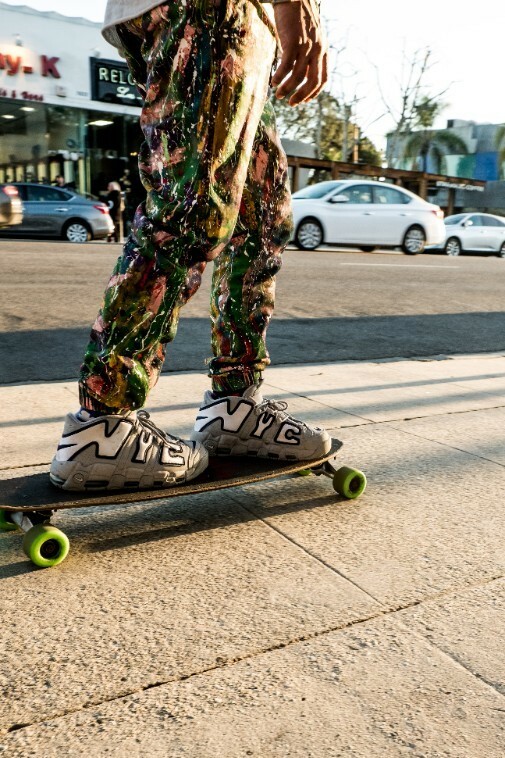 The clothes consist of loud colors, premium & vintage fabrics, vintage patches & pins as well as exotic reptile skins. Michael Howard is an emerging fashion designer that appears to be going places. Learn more about emerging fashion designers here on Apparel Search.